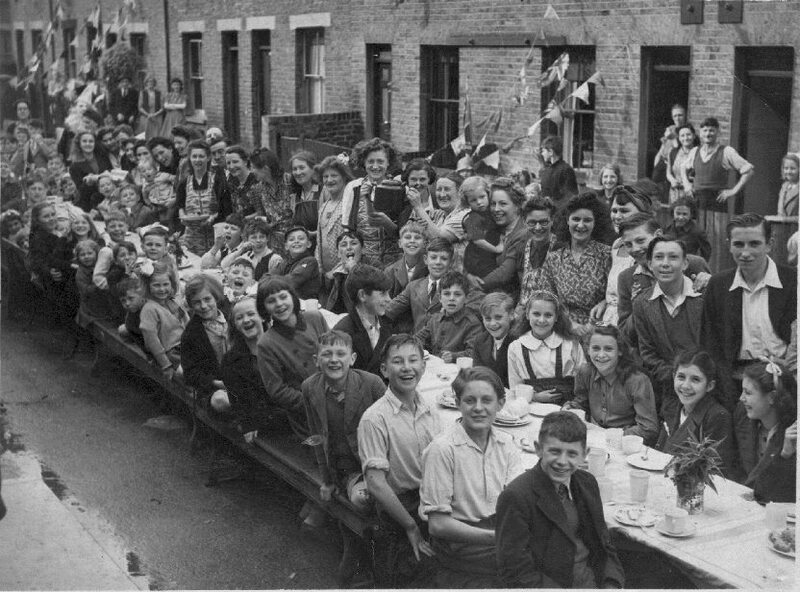 Sue O'Donnell has provided two photos showing the street party celebrations for the Coronation of Queen Elizabeth 2, June 1953. 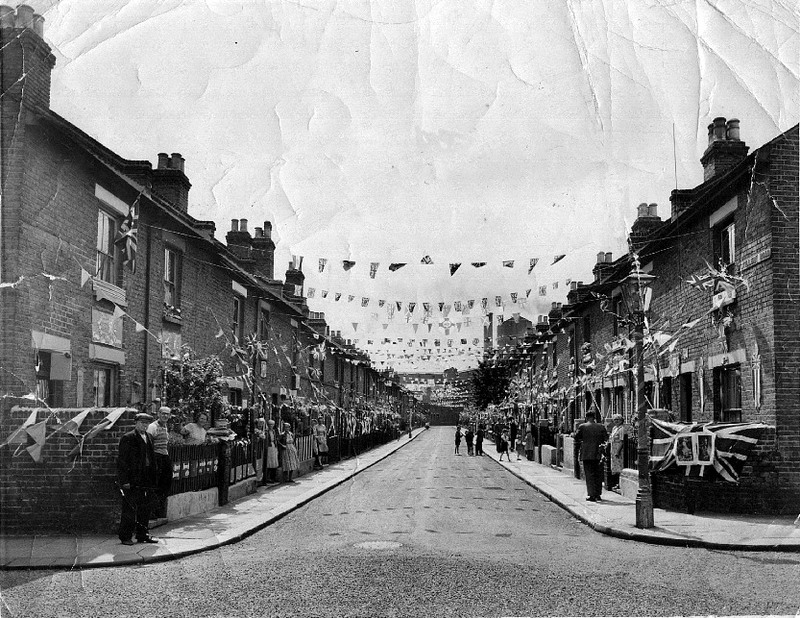 The first view is from the junction with Netley Road, looking south towards High Street. Sue sent a high resolution scan and two full size enlargements follow showing the people on the left and right side. She adds 'Mrs Rowe is the first lady on the left'. I have arranged people into groups and have done a head count from right to left and given each person a number, hope that makes sense! 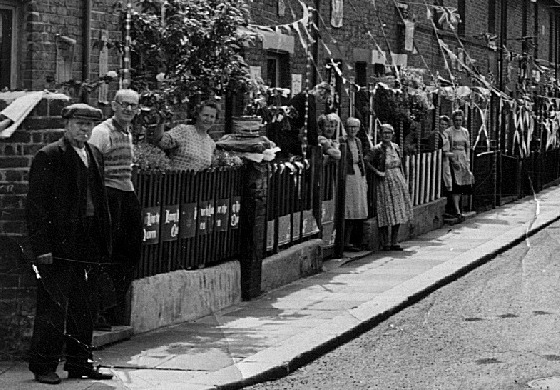 I am now trying to research my family history and would also be interested to hear from anyone who knew me in those days. Can you add any more names or would you like to get in touch with Charles Woodley (I will forward your email to him)?